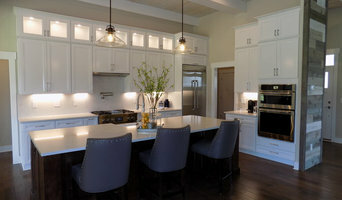 Ketron Custom Builders is an award winning full service design/build firm founded in 1999. Focused on the details, we provide our clients with unmatched craftsmanship, quality and a service. Our purpose is to enhance our clients lives by transforming the enviroment in which they live. Since 1999 Ketron Custom Builders has been constructing home building and remodeling projects throughout Columbus and central Ohio. Every project is tailored to fit our client's needs, whether they require a newly built home, the renovation of an historic structure, or the updating of a room, we treat each project as if it were our own. With diverse experience and a dedication to quality, Ketron Custom Builders can take your vision beyond the limitations of other builders to make your home building or remodeling dreams come true. We specialize in single family residential architecture. 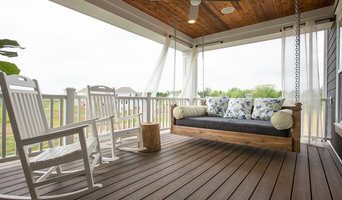 We offer quality design for projects of any size, from charming front porches to custom homes. Utilize the expertise of a licensed architect with over 23 years of experience in residential design. I listen carefully, and utilize my creativity to meet your goals. Isn't your home worth it? We love building and we are obsessed with good design. 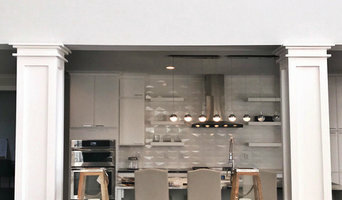 We collaborate with highly-skilled tradesmen and exceptionally talented designers and architects on new residential construction as well as additions and renovations. As a family-run business, we take a great amount of pride in our process, just as we do in the final product. Transforming your ideas into a reality is our passion! We have been a family owned and operated builder since 2000. Back in 1999, on the day we had our first son, we launched into the remodeling arena in Central Ohio. Things took off quickly and we began designing and building all types of projects ranging from bathrooms to basements to porches. Since then, we have been blessed to work with so many awesome families and help create functional and aesthetic solutions to their home needs. We currently are remodeling, building new homes, developing land and restoring out-dated properties. We still love to design and build everything from; basement remodels, to kitchens, to baths, to handyman repairs as well. We know it is true that "Except the Lord build.builds the house, they labor in vain who build it." Keiser Design Group, founded in 1995, partners with clients as collaborators and co-visionaries to produce beautiful, functional solutions. Through the years, KDG has evolved into an architectural group specializing in the ground-up design of residential and commercial buildings, as well as the design of renovations and installations in pre-existing properties. KDG practices a relationship-driven approach to provide a positive, client-focused architectural experience. I specialize in residential Architecture, with a focus on creating timeless designs for modern families. I believe that home design should center around the way we live and reflect your own personal style. I am passionate about creating spaces that are functional, comfortable, and beautiful (of course)! I am determined to make every inch of the homes I design mean something. No matter how large or small the project, we can work together to design thoughtful, timeless, purposeful spaces… and have fun doing it. We all deserve to love our homes. N.J.W. Construction Inc. is a residential construction Co. specializing in New Home Builds, Remodeling , Restorations and Room Additions. We also offer in-house blueprinting and design; for a distinct difference with creative ideas from the clients perspective, making your project a unique, one of a kind; fitting the lifestyle and needs of the clients. N.J.W. employees have an impeccable reputation for honesty, multifaceted knowledge of the job at hand and the desire and will to complete the job. From the beginning, N.J.W. Construction established distinct standards to differentiate itself from the competition. We believe that we can best serve our customers by building lasting relationships through our commitment to these standards. Our custom home, commercial building, and renovation business is proud to have its roots planted firmly in the Amish faith and tradition. In the late 1700’s, our ancestors traveled to America from Switzerland and Germany for freedom of religion and for a new land where future generations could live a peaceful and holy lifestyle. We strive to make our lives both pleasing to God and of value to others throughout all of our personal and professional endeavors. Our work ethic, combined with our genuine love to build with integrity and quality, is an old world tradition handed down from generation to generation. And, interwoven into every project is a very personal sense of pride. My father Melvin Shrock, after working for a respected home builder in Central Ohio, started his own construction company in the 1960’s near Sugarcreek, Ohio. He built homes, barns, and many other projects throughout central Ohio. I officially acquired the company in 1984, and was blessed with a desire to transform this company into a superior construction company with a first class team. 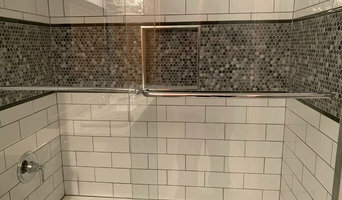 The Shrock team has been making dreams come true with completed projects (both commercial and residential) throughout surrounding cities such as Ashland, Wooster, Mount Vernon, Medina, and Columbus, Ohio.